For someone who has just returned from a three-week choir tour in southeast Asia, no question is more welcome—and at the same time, no question is more dreaded. There are so many experiences I would love to convey, yet so few of them can bear to be put into words. No number of journal entries or photographs can even begin to encompass the sorrows, challenges, and joys of such a missionary trip. 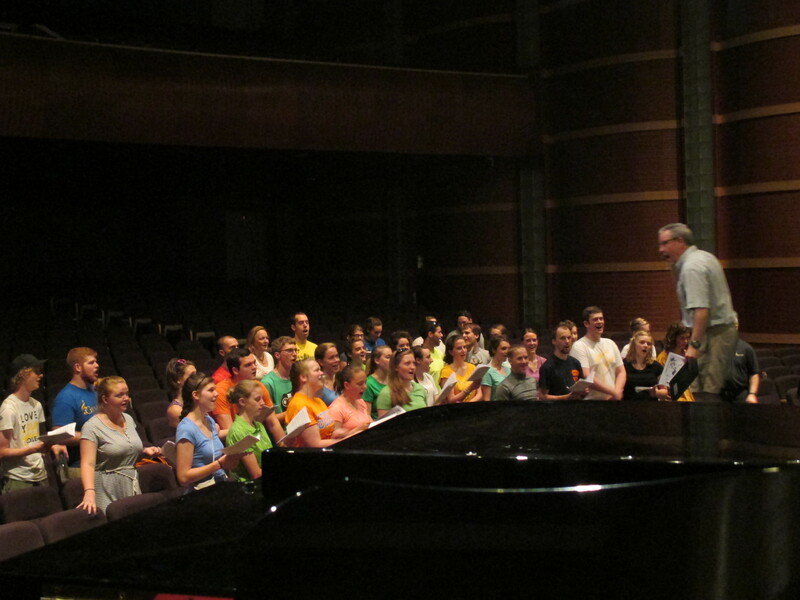 I traveled with the Genevans, the concert choir of Geneva College, to the Philippines and Malaysia for a three-week tour this past May. Since our conductor, Dr. David Kenneth Smith, grew up as a missionary kid in southeast Asia, he was in a sense bringing the choir home with him to thank the friends and church families that had ministered to him during his childhood. And it just so “happened” that the choir’s musical theme for this concert season was “Psalms for the King,” a program composed almost entirely of a cappella psalmody. Over the course of about twenty-four singing engagements, we performed in venues ranging from cathedrals to thatch huts, for audiences ranging from orphans to other university choirs. 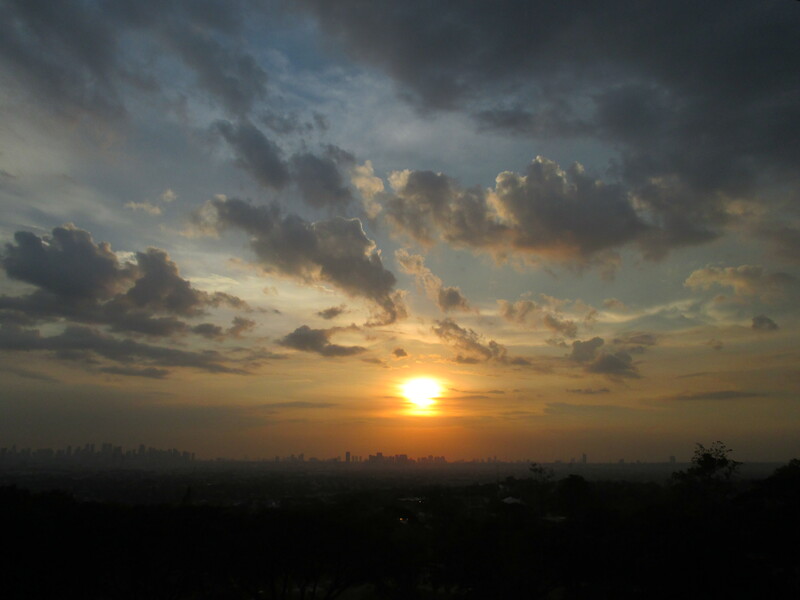 We visited the Philippine cities of Manila, Davao, Malaybalay, Cagayan de Oro, Ifugao, and Baguio, and the Malaysian city Kota Kinabalu, singing settings of twenty-three different psalms. While I can’t convey the full extent of our experiences singing in Christ’s service on the other side of the world, I can share a few of the many things I learned about the Lord’s goodness during our travels. The anthems I will sing. God blessed the Genevans with food, shelter, and accommodations that provided exactly what we needed at each point in the trip. More than that, he afforded us incredible opportunities to fellowship with brothers and sisters in Christ on the other side of the globe. I was blessed to meet URCNA missionary Rev. 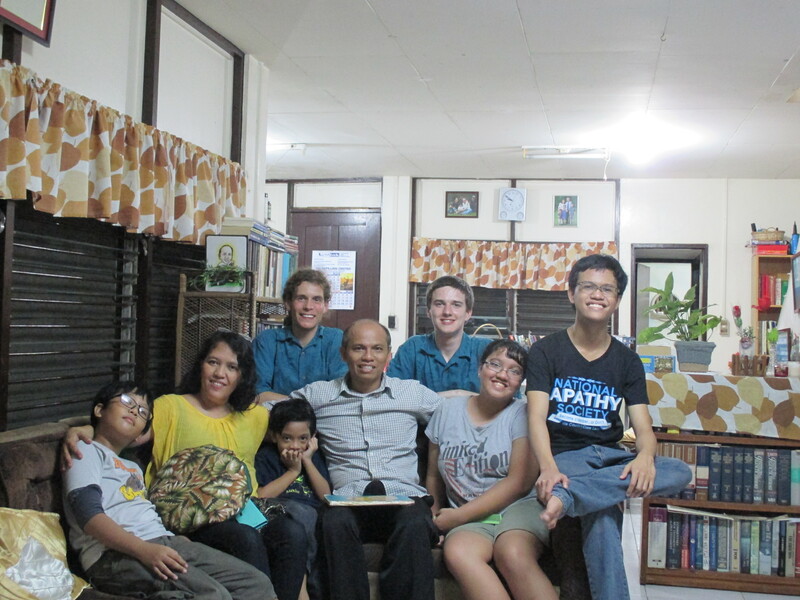 Nollie Malabuyo in Manila and to spend three nights at the home of Mid-America Reformed Seminary graduate Rev. Vic Bernales and his family in Davao City. As a prayer before meals the Genevans would often sing the “Table Blessing” by Heinrich Schütz, from Psalm 145: “All turn their eyes unto Thee in hope, O Lord; and Thou suppliest their food in due season.” Truly he does supply all our needs! Can never keep their souls alive. His look makes earth tremble, His touch, mountains smoke. My God I’ll be praising as long as I live. Those poignant words were still echoing in my head a few hours later when we learned that a replacement itinerary had been issued to all the Genevans which cut two flights and eight hours off our travel time. Watching the sun rise over Pittsburgh early Monday morning, I was struck anew by how powerfully and abundantly the Lord provides. In a multitude of ways, this choir tour revealed to me the error, indeed the folly, of a formulaic view of short-term missions. A mission trip, we think, should involve activities such as voluntary fasting, visiting orphanages, and maybe getting the chance to play soccer with impoverished third-world children. While these activities can be a blessing, such a limited view of ministry mocks our sovereign God. How ignorant, or worse, how arrogant, to imagine that we can set our terms of service to Christ on a mission field. The work is not ours to begin with. 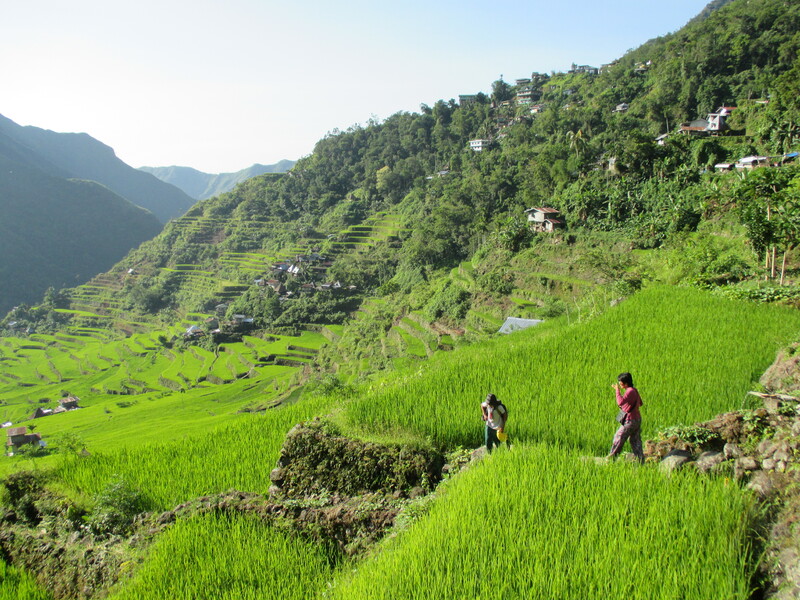 No, the real work of missions belongs entirely to God, and we have the privilege and the terrifying responsibility to be onlookers and instruments as he works out his purposes, in “health and sickness, prosperity and poverty” (Heidelberg Catechism LD 10, Q&A 27), blessing others—and us—through our presence. And that is humbling, exhilarating, awe-inspiring, heart-rending, and earth-shattering. 86 Q. We have been delivered from our misery by God’s grace alone through Christ and not because we have earned it: why then must we still do good? and so that he may be praised through us. our neighbors may be won over to Christ. 87 Q. Can those be saved who do not turn to God from their ungrateful and impenitent ways? is going to inherit the kingdom of God. “Christ has redeemed us by his blood. But we do good because Christ by his Spirit is also renewing us to be like himself.” For a glorious exposition of these wonderful words, we need look no further than the paraphrase of Psalm 92 in number 180 of the blue Psalter Hymnal. The second stanza praises the works God’s hands have wrought, and the third rejoices that his boundless grace will nourish the righteous. If there is a single psalm that adequately summarizes the Christian’s response of gratitude, it may well be Psalm 92. 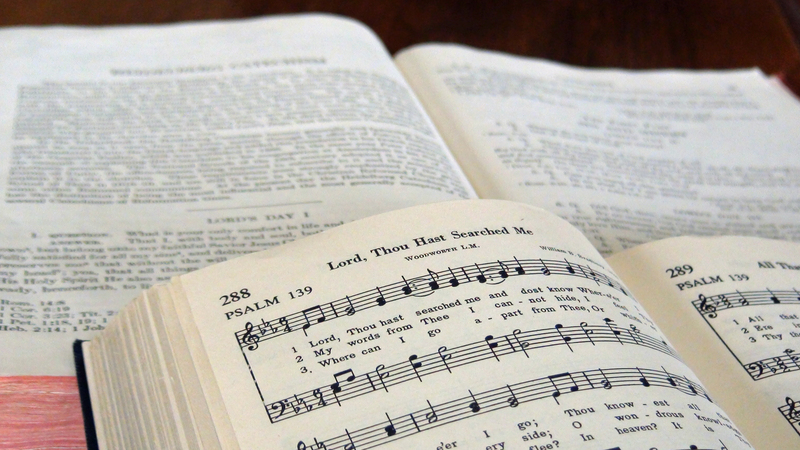 “[W]e do good…so that in all our living we may show that we are thankful to God for all he has done for us, and so that he may be praised through us.” Psalm 116 is a song of salvation which we’ve already connected to previous Lord’s Days of the Catechism. Here its last section points us to consider how we may rightly give thanks to God for his many blessings. And in His service I delight. And join to sound His praise abroad. Not only do our good works assure us of the validity of our faith, the Holy Spirit also uses them to convict our unbelieving neighbors of their need for a Savior. Further, as Psalm 66 shows, our grateful response to God encourages the entire body of Christ.